Location Description: Canal Works, Navigation Road, Burslem, Staffordshire Potteries, England. In the early 1800s, Thomas Goodwin began working at Staffordshire Potteries; first as a collaborator at the New Wharf and New Basin Potteries [1809 – 1834], and later as an independent potter at Canal Works [1834 – 1854], where he became famous for his depictions of American war scenes, cityscapes and monuments, on blue and white wares (Coysh, 1972). 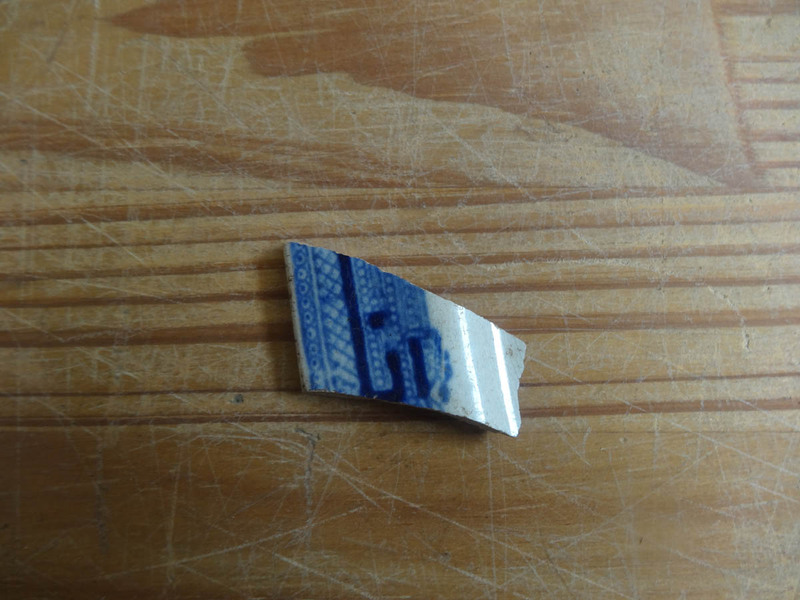 During his solo production period, Godwin was also one of 54 potters who made and marked “Willow Pattern” ceramic wares, and the distinctive print of his initials [T.G.] 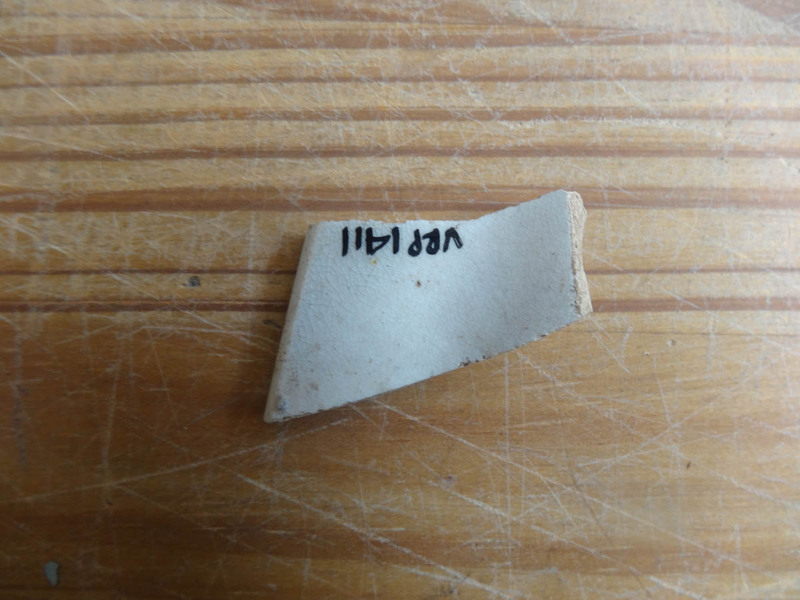 on the back of one of the sherds [VRP 1396] is what allows us to trace the origins of these particular ceramic sherds back to his pottery in Staffordshire; made between 1834 and 1854 (Coysh & Henrywood, 1982). THE GREATEST MARKETING SCHEME OF ALL TIME? 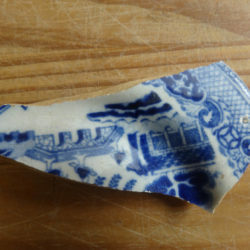 Willow Pattern ceramic wares have been produced by British Potters since the late 18th Century, and persist in their local and global popularity based on their supposed depiction of a Chinese legend of two ill-fated lovers who, following a series of hardships in their human life, are blessed by the gods to live out their love eternally as immortal doves (Portanova, 2008). The story goes that during the era when China was ruled by Emperors, Koong-se, the daughter of a wealthy and corrupt Mandarin, T’so Ling, fell in love with his humble clerk, Chang, who she would meet in secret under a weeping Willow Tree (Fontannaza & Wilson, 1978). When T’so Ling discovered them meeting one evening, he banished Chang from his property and built a high fence to keep him out, and locked up Koong-se in a secluded apartment, which had a terrace that overlooked the water’s edge (Fontannaza & Wilson, 1978). Thereafter, she was betrothed to be married to ‘a Ta-Jin of high rank and great wealth’, who arrived at the beginning of Spring with a hoard of servants, soldiers, liquor and jewels, to impress the Mandarin and his soon-to-be wife (Fontannaza & Wilson, 1978: 3). In amidst the drunken fervour of the celebration of the engagement, Chang returned and managed to sneak through the Great Hall to be reunited with Koong-se, and together they tip-toed past the sleepy wine-infused bodies of her father and fiancé, to make their great escape (Fontannaza & Wilson, 1978). As the lovers entered the garden where the weeping Willow Tree stood, T’so Ling stirred from his slumber, and having realised what had transpired took up his long-hunting whip to chase after the lovers across the bridge, but his old and frail body failed him and they slipped away into the night (Fontannaza & Wilson, 1978). The couple sailed down the great Yang Tse Kiang River, and with the jewels that Koong-se had received from the Ta-Jin they were able to ‘buy the right to live on [an uninhabited] island’, where Koong-se bore many sons and Chang found his stride as a poet and writer and gained acclaim as an author (Fontannaza & Wilson, 1978: 23). Chang's fame proved fatal, as the disgruntled Ta-Jin was able to track the lovers down and have one of his soldiers stab Chang to death, and Koong-se, witnessing his death, ran into their home overwhelmed with grief and set it on fire; dying only a few moments later (Fontannaza & Wilson, 1978). The gods, observing the cruelty of the lovers’ fate, transformed Koong-se and Chang’s spirits into two immortal doves, which allowed them to ‘fly forever above the weeping Willow Tree, free and perfect in their undying love’ (Fontannaza & Wilson, 1978: 27). 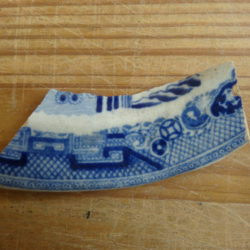 This gripping tale was later found to have absolutely no basis in Chinese reality or folklore, and was in fact a fiction that flowed out of the Staffordshire Potteries (where Willow Pattern ceramics wares were originally made), to market these products, and in turn capitalise on the allure of Orient-inspired design, which were all the rage in Europe at the time (Portanova, 2008). The British occupied The Cape of Good Hope in 1795 and 1806 (after battles with the Dutch, who attempted to retain control from 1803 – 1806), and vacillated between using this “spoil of war” as a trading post or a colony, and eventually settled on the latter in 1814, as it ‘provided a useful outlet for British produce, manufacturers, surplus entrepreneurs and unemployed poor’ (Malan, 1993:19). From 1820, the British actively resettled some members of their population, in order to secure ‘the Eastern Frontier of the Colony’, and to avoid the ‘prospect of domestic insurrection’, flowing from class divisions and economic decline (Lester, 1998: 517). Advertisements in Britain reveal ‘In an Estimate of Expence of Articles required for settling 100 families at the Cape of Good Hope for the 1820s, it was suggested that Household Furniture should include: 2 Chairs, •2 Iron Pots, •6 Pewter Plates, •6 Bowls, •Knives, •Spoons…[where]…the articles marked thus [•] should be purchased in England, and would in that case be cheaper’ (Malan, 1993: 171/2). 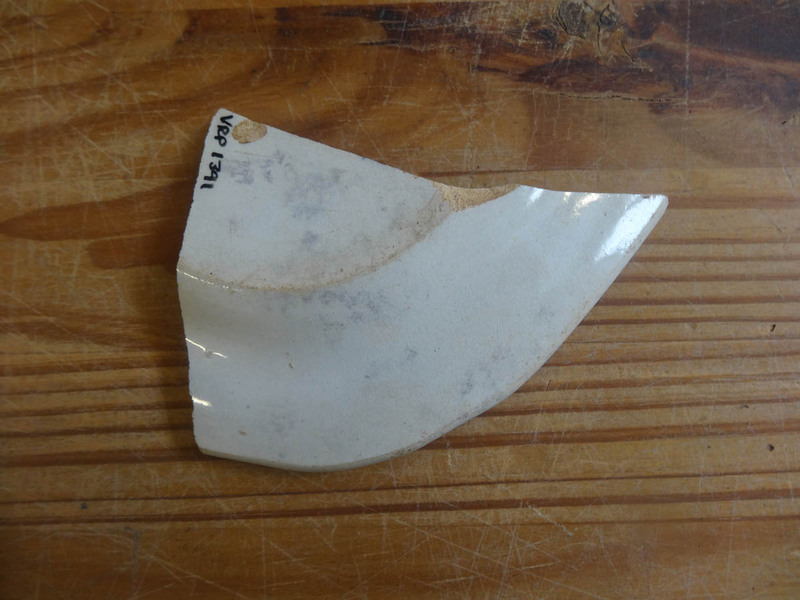 This means that with this encouragement to purchase belongings in Britain if one intended to participate in the emigration scheme, it is not unlikely that this ceramic tableware was acquired in Britain, and travelled down to The Cape with a settler/s. 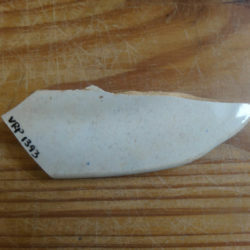 This further means that Object 156 could have travelled to the Port of Liverpool, [where the settlers boarded their ships] and embarked on a four month journey across the Atlantic Ocean, then arrived in The Cape where it could have taken on a number of lives in the diverse community of ‘colonial officials, herders, artisans, lodging keepers, servants, slaves, soldiers, burghers’, and others (Lester, 1993: 2). 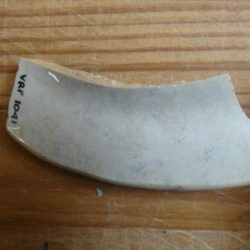 Object Ecologies, Iziko Museums of South Africa. 3 November 2018 – March 2019. Brohan, P. 2012. East-India Company Ship Routes. [Online Video]. 12 June 2012. Available from: https://vimeo.com/43884291. [Accessed: 19 June 2018]. Cornell, C. & Malan, A. 2008. Places At The Cape: A Guidebook for Beginners Researchers. TEPC Project: Cape Town. Coysh, A.W. 1972. 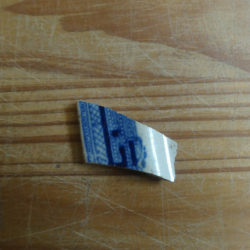 Blue-Printed Earthenware 1800 – 1850. David & Charles (Publishers) Limited: Devon. Coysh, A.W. & Henrywood, R. K. 1982. 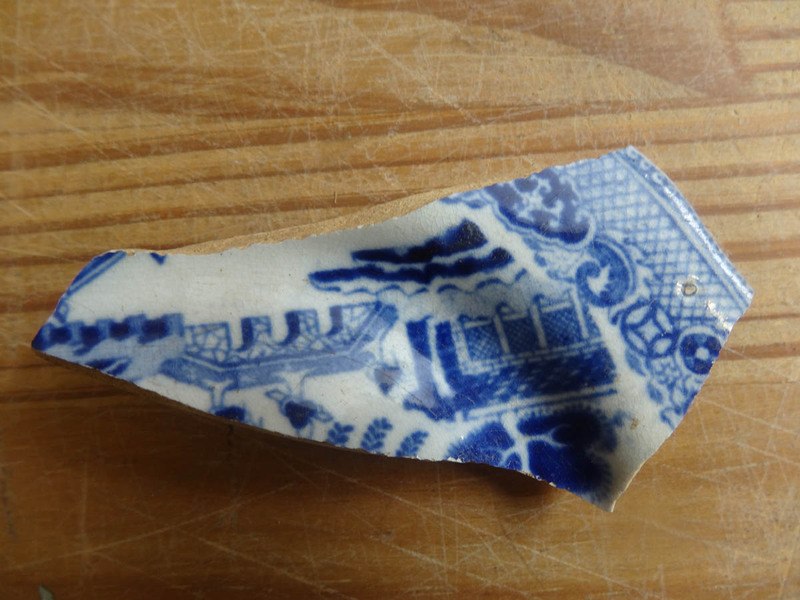 The Dictionary of Blue and White Printed Pottery 1780 – 1880: Volume I. Antique Collectors’ Club Ltd.: Suffolk. Fontannaza, L. & Wilson, B. K. 1978. 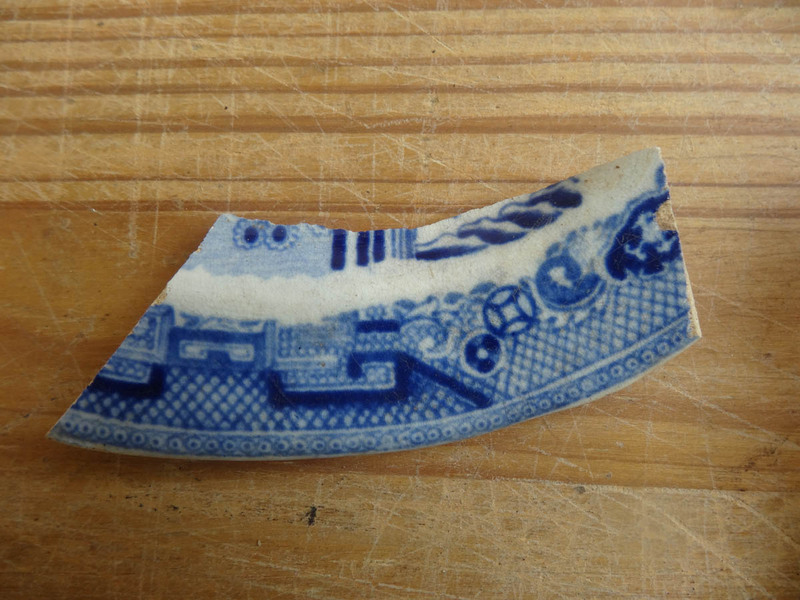 The Willow Pattern Story. Angus & Roberstons Publishers: Australia. Godden, G. A. 1964. 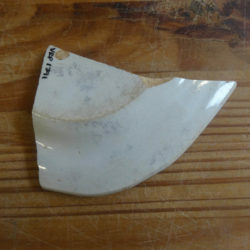 Encyclopedia of British Pottery and Porcelain Marks. Herbert Jenkins Ltd: London. Jordan, E. G. 2005. ‘Unrelenting Toil’: Expanding archaeological interpretations of the female slave experience. Slavery and Abolition, 26(2): 217 – 232. Klose, J. 2007. 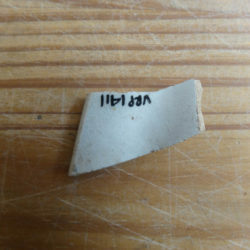 Identifying Ceramics: An introduction to the analysis and interpretation of ceramics excavated from 17th to 20th Century archaeological sites and shipwrecks in the South-Western Cape. Historical Archaeology Research Group: Cape Town. Malan, A. 1993. 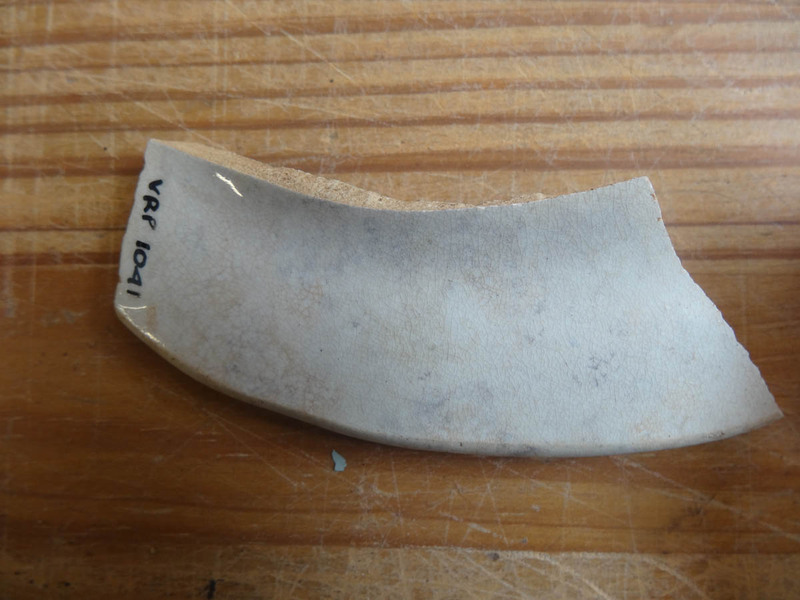 Household Inventories of The Cape: Inventories and the archaeological record. (Unpublished Doctoral Thesis). University of Cape Town, Cape Town. McClary, B.H. 1982. 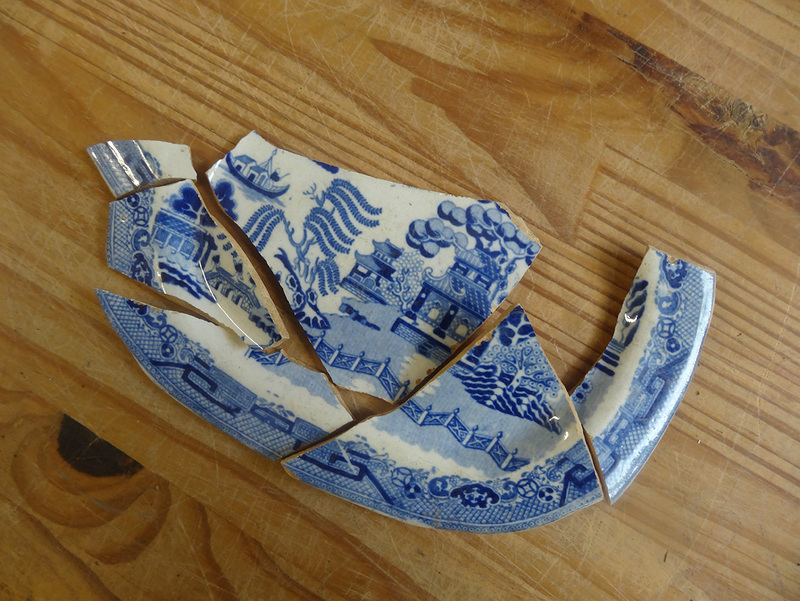 The Story of the Story: The Willow Pattern Plate in Children’s Literature. Children’s Literature 10: 56 – 69. Woodward, C. 1974. 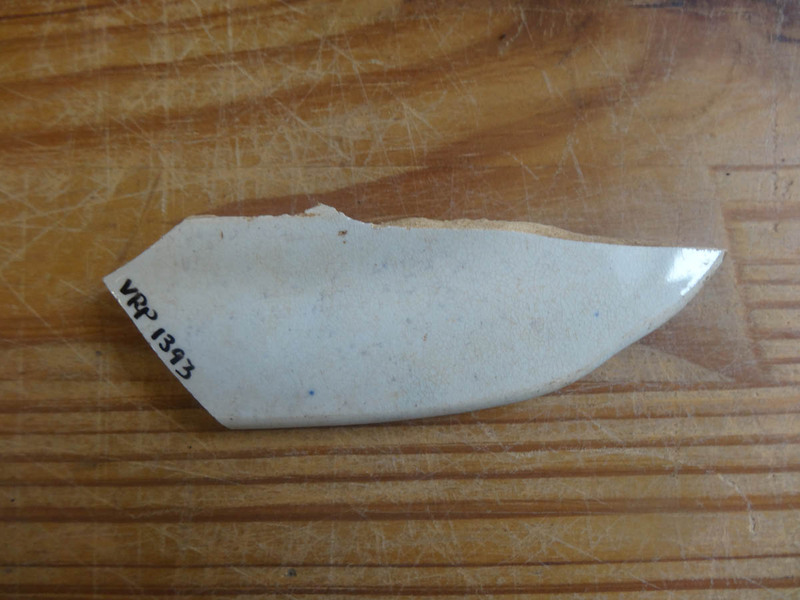 Oriental Ceramics at The Cape of Good Hope 1652 – 1975. A.A. Balkema: Cape Town.